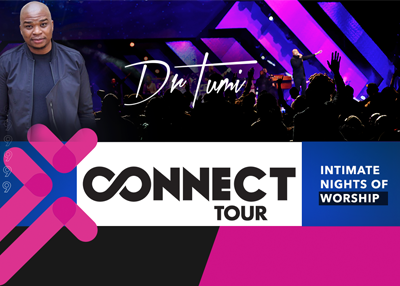 Gospel genius Dr Tumi kicks off his Connect Tour on 2 March 2019. The extensive itinerary will take him to almost all the nine provinces of South Africa, a few African countries before heading out overseas to Europe. This is the first time Dr Tumi performs for his supporters on such a grand scale as he paves the way to this year’s Gathering of Worshippers which is now in its third year. So far, there are some 14 confirmed dates and venues with more countries to be added. Dr Tumi will perform songs that made him a household name and catapulted him to the status of an award-winning gospel great. The tour is borne out of a demand for his supporters for an intimate experience with him. Sent on behalf of DR Tumi by HM Entertainments.